The heart of Point Defiance Park in Tacoma, Washington is native temperate rain forest, densely packed with evergreen trees, bushes and ferns, and criss-crossed by dirt walking trails. 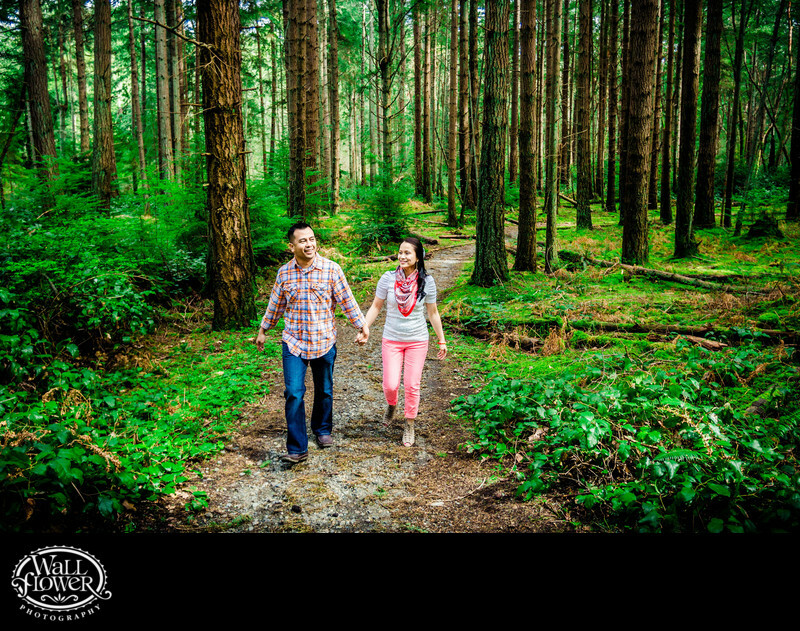 I photographed this engagement portrait of an engaged couple holding hands while walking along one of those forest trails in my secret favorite shooting spot, where the vegetation is a little bit less dense, the light is brighter, and the moss grows thicker. Although posed in the sense that I arranged the moment, the photo still has a candid feel as I instructed the couple to avoid looking at the camera as they walked toward me.